Medsquare’s partners Toyo Medic is participating in the International Technical Exhibition of Medical Imaging (ITEM) exhibition held in Yokohama on April 13 – 15. Organized by the Japan Medical Imaging and Radiological Systems Industries Association (JIRA), the exhibition brings together all the latest medical imaging systems and peripheral devices. For the first time, our dose monitoring solution Radiation Dose Monitor (RDM) will be presented at Toyo Medic’s booth (#436) which includes a dedicated space for demonstration. In Japan, the dose has become a real concern. According to this study based on latest surveys, a group of Japanese medical societies has established the country’s first diagnostic reference levels (DRLs) for radiation dose which is a significant step in patient protection. The need of collecting and sharing data is increasing, as it is said it is essential, “to collect and share information on medical radiation exposure from within and outside Japan and to establish a framework on protection from medical exposure” (Preface – page 3). Besides, ongoing project such as the DIR (Dose Index Registry) from Japan Radiological Society (JRS) is expecting to create a nation-wide and multi-center construction of big data regarding medical radiation dose exposure. 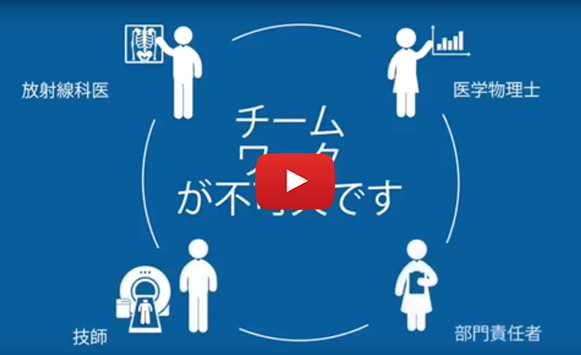 On this occasion Medsquare and Toyo Medic worked together to adapt and translate the RDM video in Japanese!